This is a red Pod Frame from Shen Drones. 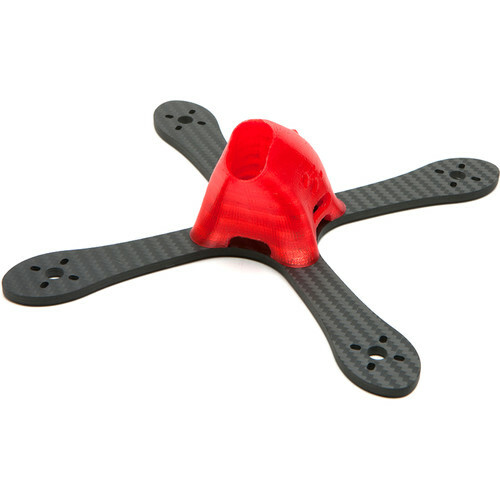 This pod is designed to work with the Mitsuko quadcopter, which is a "plus" style drone that supports 4" props. This Pod Frame is 3D-printed from durable TPU plastic. The pod is designed for mini FPV cameras, such as HS1177-sized cams, which can click in at 40, 50, and 60 degrees of tilt. Box Dimensions (LxWxH) 6.5 x 4.0 x 1.3"